The several relationships between mathematical principles and configurative logic of architecture have made this research topic widely debated [William, Ostwald 2015]. They are apparently antithetical disciplines: on the one hand, architecture which makes explicit in the creative process the genesis of forms and constructive realities laden with artistic values; on the other, mathematics which, with precision and scientific method, measures space. Yet, they are expressions of human thought that find a reason for greater strength and growth in the continuous and mutual confrontation. If, on one side, the logic underlying the architecture gives it the rigor necessary to exorcise the arbitrariness of the formal choices, on the other, the use of precise compositional criteria for the conception of architectural spaces, even complex ones, shows how the rule frees the architect’s imagination rather than forcing it [Botta 2003, p. 9] (read more). Botta, M. (2003). Presentazione. In N. Sala, G. Cappellato. Viaggio matematico nell’arte e nell’ar-chitettura, pp. 9, 10. Milano: Franco Angeli s.r.l. William, K., Bevilacqua M.G. (eds). (2018). Nex-us. Architecture and Mathematics. Conference Book. Torino: Kim William Books. William, K., Ostwald, M.J., (eds). (2015). Archi-tecture and mathematics from antiquity to the future, voll. 2. Birkhäuser: Springer. B. Messina, “Nexus Conference 2018. 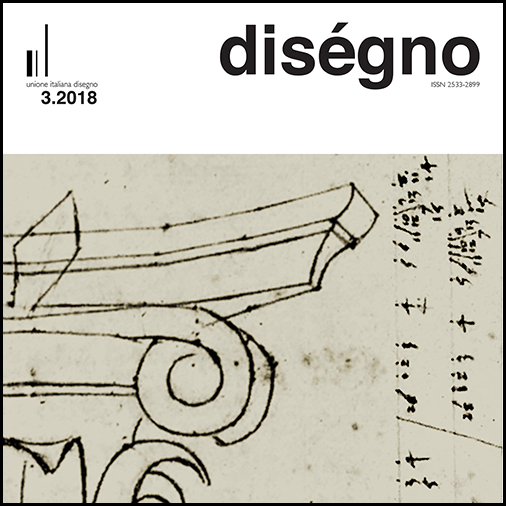 Relationships Between Architecture And Mathematics”, diségno, no. 3, pp. 251-253, Dec. 2018.